Robert Patricio is known for his classic forms and use of both traditional and pre-historic imagery. This jar is coil built and thin walled. 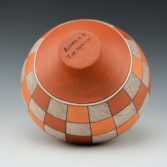 It has a classic water jar shape with the high shoulder. 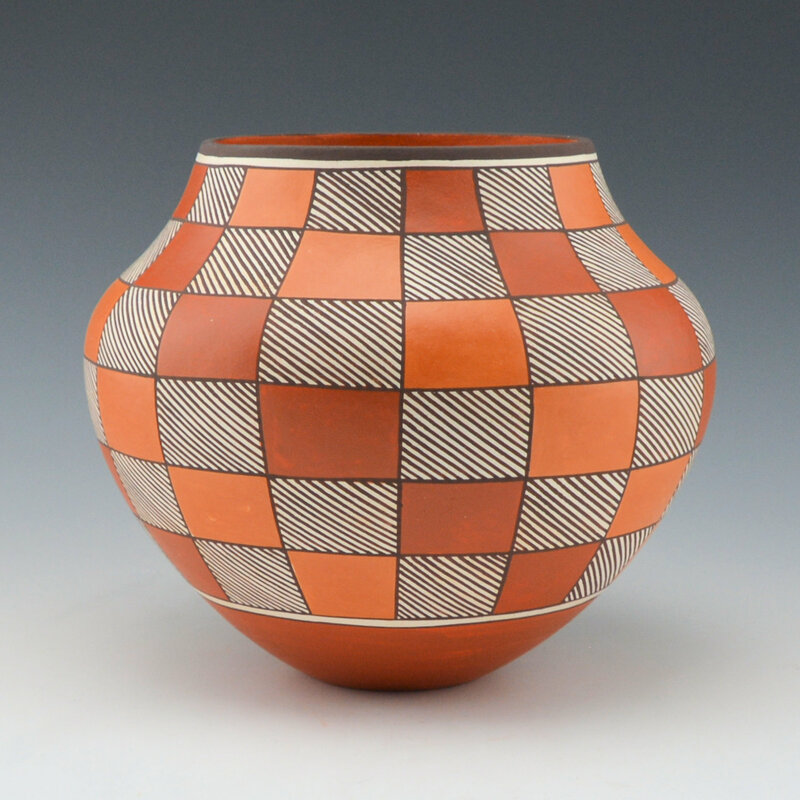 The design is a series of squares which are painted with two different colors of red clay and then sections with fine-line designs. 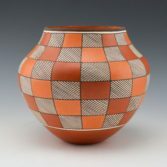 The fineline designs are the rain the red is the earth. 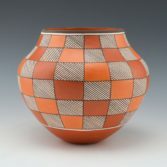 The color variations and the swirl of the design around the jar from the rim to the base is stunning! The base and interior rim are also painted with the traditional red clay slip. 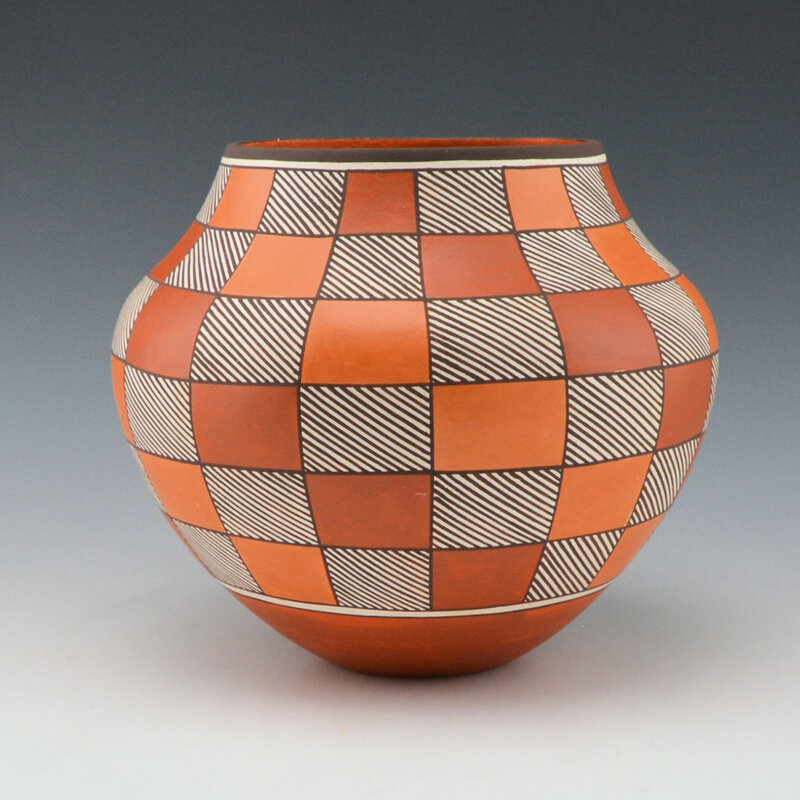 Robert is certainly one of the leading traditional Acoma potters working today which is evidenced by his stunning forms and complementary designs.